THE Upper Heidelberg Rd streetscape will be changing with the Ivanhoe Library building destined for demolition. The Ivanhoe Civic Precinct Master Plan, which has been unanimously backed by councillors, includes building a community learning hub and “vibrant” public space in place of the 1960sera Ivanhoe library, a public plaza, new car parking and “mixed use” development. The Heidelberg Leader had previously reported Ivanhoe residents had major concerns with the plans, including a lack of green space and an over development and commercialisation of the area without sufficient parking. Resident Dennis O’Connell said council officers did not get permission from Heritage Victoria before going ahead with the recommendation despite the library being built up against the heritage-listed Centre Ivanhoe. “We’re concerned about the consultation process and recommendation seems to ignore that,” Mr O’Connell said. But Friends of Ivanhoe Library president Frances Callinan said the library building was not adequate to service the needs of a modern community. She said the issues library building has include a lack of mobility for people with a disability, the spaces are crowded, not enough meeting rooms for community groups, events, students and library staff. Cr Jenny Mulholland said consultation with the community, nearby residents and traders would be ongoing. Should the library be demolished? 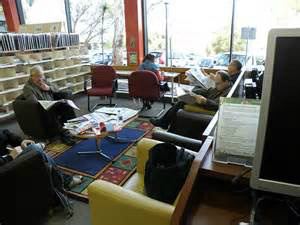 Few people would dispute the need for an expanded Ivanhoe library, with disabled access. However, many would dispute the need to demolish the existing building to achieve this aim. It appears that no alternatives to demolition were considered. There is plenty of room on the Civic Precinct Site. Build a new library possibly adjacent to this special modernist designed building then update and refurbish this magnificent building with stunning views. What a wonderful asset and certainly preferable to a motel or other commercial properties on this special site. Let's not demolish the library building. BANYULE residents still have the chance to comment on the Ivanhoe Civic Precinct master plan. There is a fear that the Ivanhoe library could be bulldozed, but Mayor Craig Langdon reaffirmed that no decisions had been made on the plan. BANYULE Council denies it has made a decision regarding the Ivanhoe Civic Precinct master plan as resident voice concerns their views are not being heard. Mayor Craig Langdon said the council had not made any decisions on the master plan proposal and was still gathering opinions. The Heidelberg Leader previously reported Ivanhoe residents fear the library building could be levelled in attempts by the council to “commercialise” the civic precinct. But Cr Langdon said at recent workshops, officers “reinforced” the council was in a listening phase and were trying to understand community views on the proposal. “Should council wish to proceed with a master plan that included development opportunity in the south of the precinct, further decisions would then need to be considered about the best ways to realise this vision,” he said. Cr Langdon said the area south of the library has been zoned as commercial since the early 20th century. But Ivanhoe’s Paul Simmons said that the major concerns with the plans were that it lacked green space, and it was an overdevelopment and commercialisation of the area without sufficient parking. “People want to see the council fund good quality open space on the site,” Mr Simmons said. He said residents were hoping for an extension of the library building rather than a redevelopment.